What a great business for sale … profitable, no employees, get paid upfront, web business, work from home or anywhere, custom signs are drop-shipped, no inventory, & established over 10 years! This is a website that sells custom neon signs. The site gets all of its traffic organically! Literally ZERO has been spent on Ad words in years. 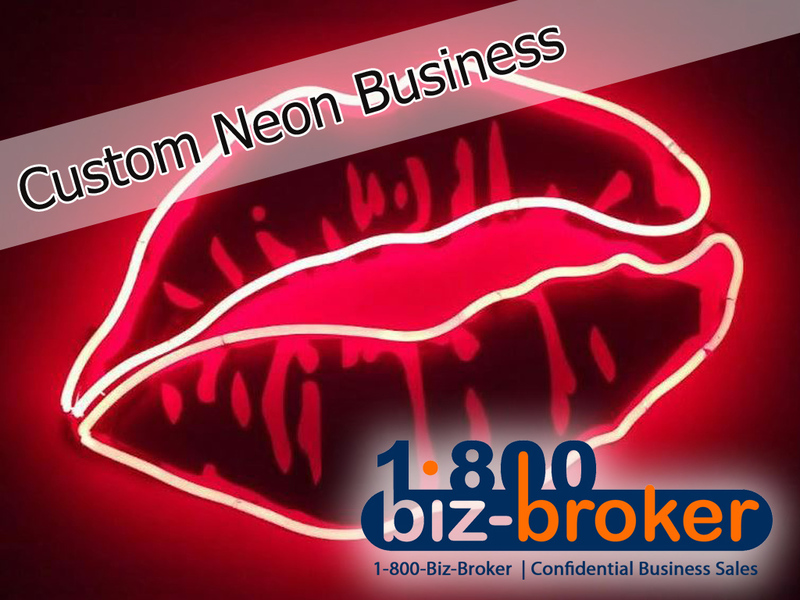 Neon signs are sold to businesses and the general public. Huge list of repeat corporate customers including: Urban Outfitters & Forever 21. Seller gets deluged with inquires daily. He responds with a custom quote and proof. If the customer approves, payment is up-front. Seller then sends order to one of his manufacturing partners. Signs are made and sent directly to the customer by the manufacture! Sometimes the seller arranges for installation through other installation partners for an additional fee. A nondisclosure agreement and buyer profile is required for additional information. Thinking about buying or selling a business? We are Business Brokers, we can help! Contact us today. This website ranks highly on Google searches for several relevant key words. ALL traffic to the website is organic. 1. You can add sales via Google Adwords 2. You can sell to the existing customer list (1800+ customers) 3. Add products… other types of signs, LED Signs etc..